Surely you’ve stayed in a hotel room with a fireplace before. But we bet you didn’t have a whole sommelier-approved fireplace program to take advantage of. Nope, didn’t think so (and yes, a wood sommelier is a legit thing!). 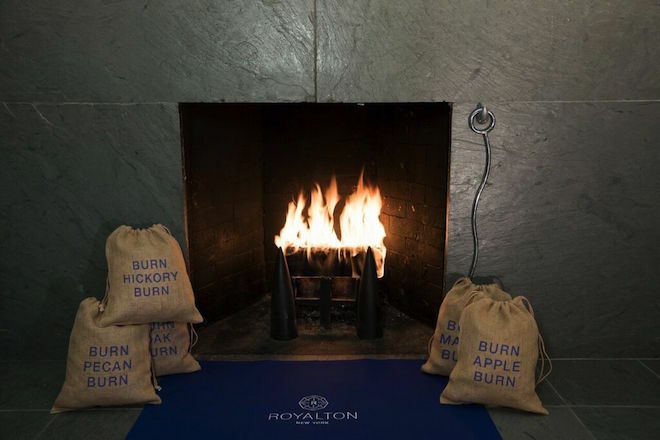 If you’re in The Big Apple this winter, you can now take it to a whole new pyro level with the Royalton New York’s Royalton Fireplace package. 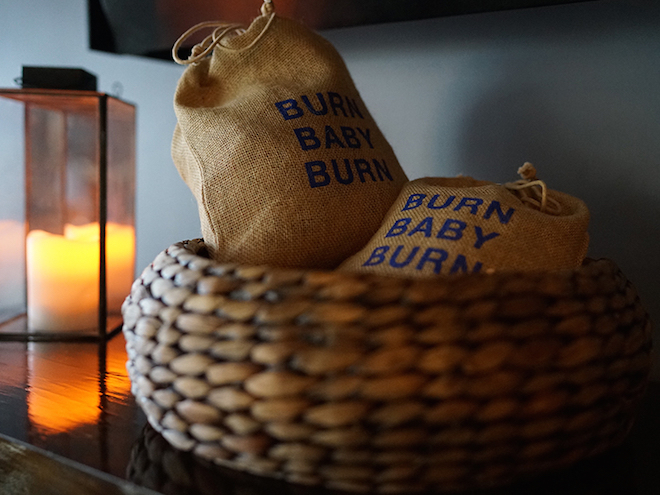 Since the hotel boasts 55 wood burning fireplaces in its rooms, the company decided to bring the ultimate artisanal fireplace experience to guests. 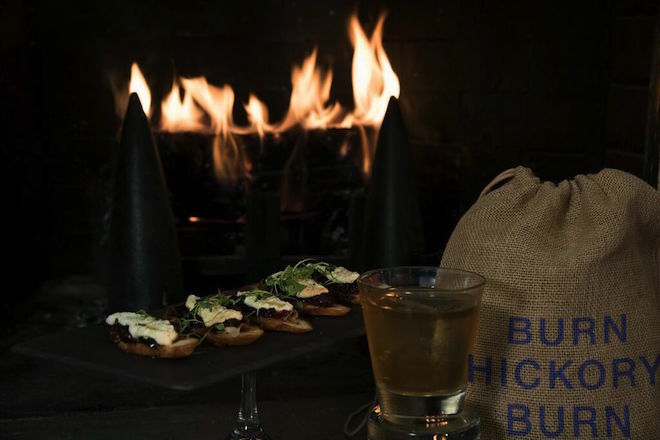 Ted Whitehead, Wood Sommelier and Co-Founder of thewoodman llc., created five different wood sachets that allow guests to completely customize their in-room fires. 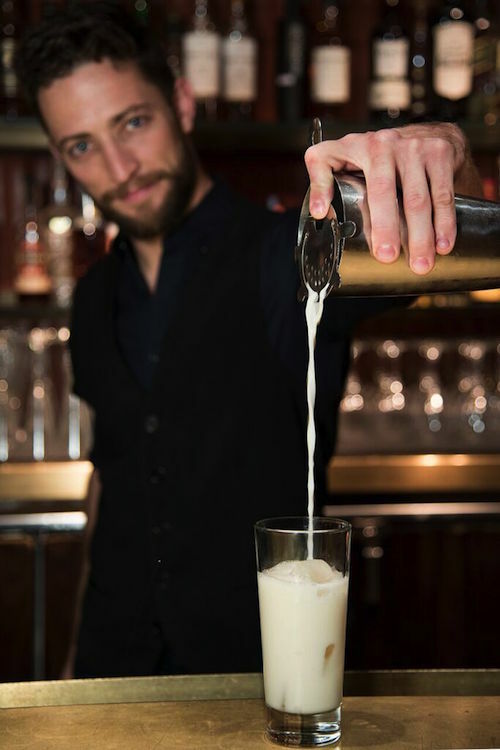 To enhance the sensory experience, Executive Chef Vanessa Miller and Mixologist Joshua Brandenburg also created a menu of complementary small plates and craft cocktails. What exactly is a wood sommelier? “As wood sommeliers, we specialize in supplying premium kiln dried firewood and wood products throughout the New York area,”says Whitehead. What can guests expect when partaking in the artisanal fireplace program? The maple wood sachet, which is slightly sweet and reminiscent of maple syrup, is paired with maple glazed pork belly skewers and a Vermont Fizz cocktail — while the hickory wood sachet is paired with prosciutto and ricotta crostini and a Hickory Old Fashioned. It truly is a one of a kind culinary delight. What is your favorite wood scent? Royalton Fireplace rates start at $299 from now through March 31, 2016. Packages include accommodations in a loft or alcove guest room or suite, fireplace concierge service (including your choice of a fireplace sachet), two signature fireplace cocktails at Bar Forty Four, two small plates from the fire-inspired tasting menu at Forty Four restaurant, daily breakfast, and late checkout so you can soak it all in. I don’t know about you, but this sounds like a surefire (sorry, we had to!) way to heat things up this winter.